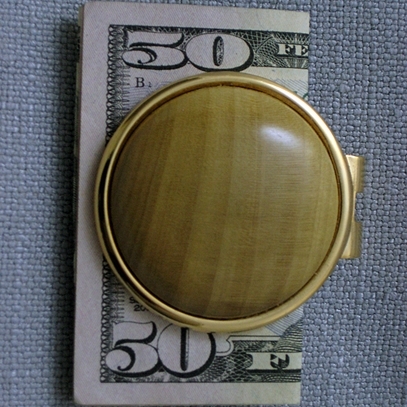 This sturdy 10K gold plated solid brass money clip is sure to be a conversation piece with its Monticello Tulip Poplar II custom wood insert. Bills are securely held by a spring mechanism and it measures 1 �� in diameter. Each piece will vary from the one pictured.